What easier way to get your party started than a smorgasbord of dips? Sure you could spend lots of time and money on a variety of party appetizers. Cocktail meatballs are certainly popular. But you could also have a nice spread with half a dozen dips, some potato chips, tortilla chips, and some raw vegetables. 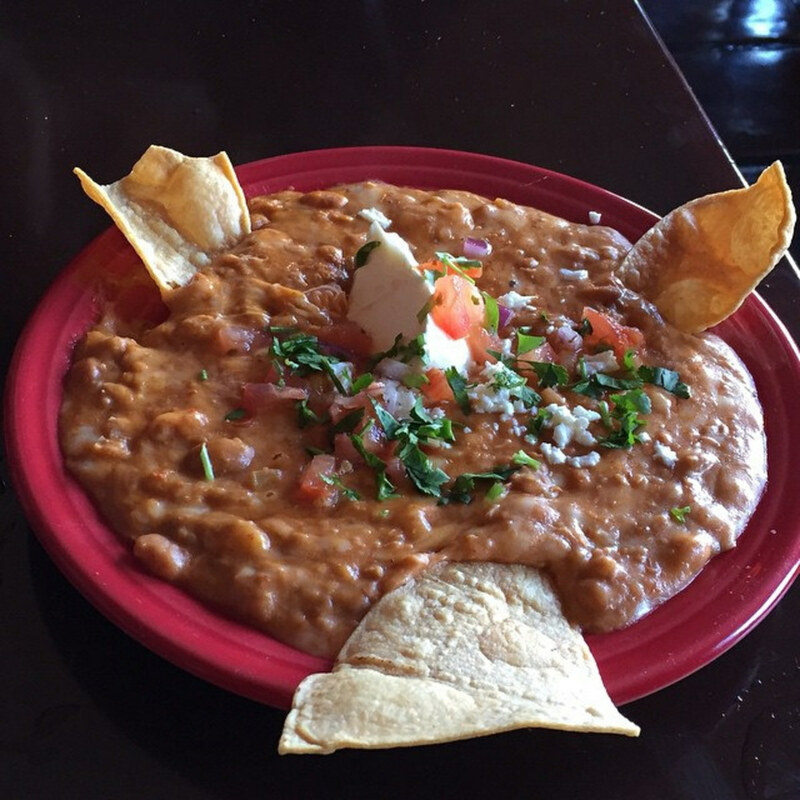 College students party with chips and dips all the time! 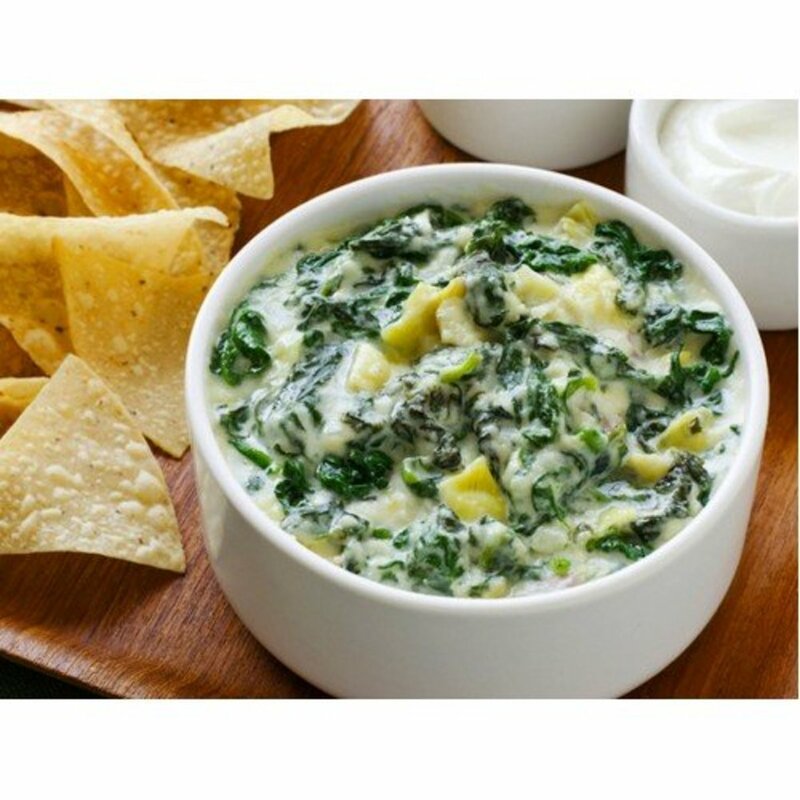 I have made spinach dip from the Lipton dry soup mix for many years, and it is always a crowd pleaser. One envelope of Lipton Recipe Secrets Vegetable Soup & Dip Mix, which includes directions for spinach dip. One cup mayonnaise. I often use ½ cup mayo, ½ cup sour cream, and one cup Greek yogurt. The Greek yogurt has a heavy but creamy texture, whether you buy fat free, 2%, or full fat. One box frozen chopped spinach. Drain and squeeze out as much water as possible. Knorr also makes a vegetable recipe mix. It calls for two cups of sour cream, along with the spinach and mayo. Both Lipton and Knorr mixes call for one can of water chestnuts, which I never use. You will need to refrigerate the dip for 4 hours, or overnight, to re-hydrate the vegetables. For serving, buy a large round loaf of Hawaiian bread. Cut out the center, making one-inch bread cubes. Scoop dip into the center of the Hawaiian loaf, and arrange bread cubes around the loaf for dipping. 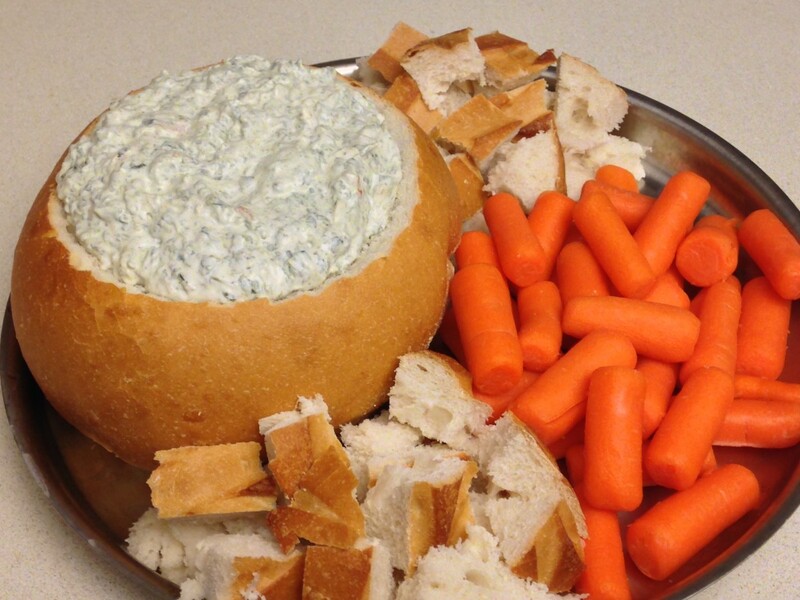 This spinach dip is also good with chips, crackers, and raw vegetables. Spread ingredients as evenly as possible in a glass pie dish. Spread ingredients as evenly as possible in a glass dish. As you can see in my photo above, I made multiple small portions. I made four two-cup servings and a square four-cup portion. I had a dinner party for three, and we could take our portion of dip and sit. I've seen these made in shot glasses. I think that would be fun for a larger party. Layer 1: One can refried beans. I stirred in a little liquid drained from my meat. Alternatively, you could stir in 1 or 2 teaspoons of taco seasoning. Layer 2: Two cups shredded cheese. I used a Mexican blend, probably about 1 cup. Layer 3: Ground beef, browned with a package of taco seasoning, then drained and cooled before spreading over cheese layer. Layer 4: Two cups Greek yogurt or sour cream. I used organic Horizon sour cream. Layer 5: One cup guacamole. 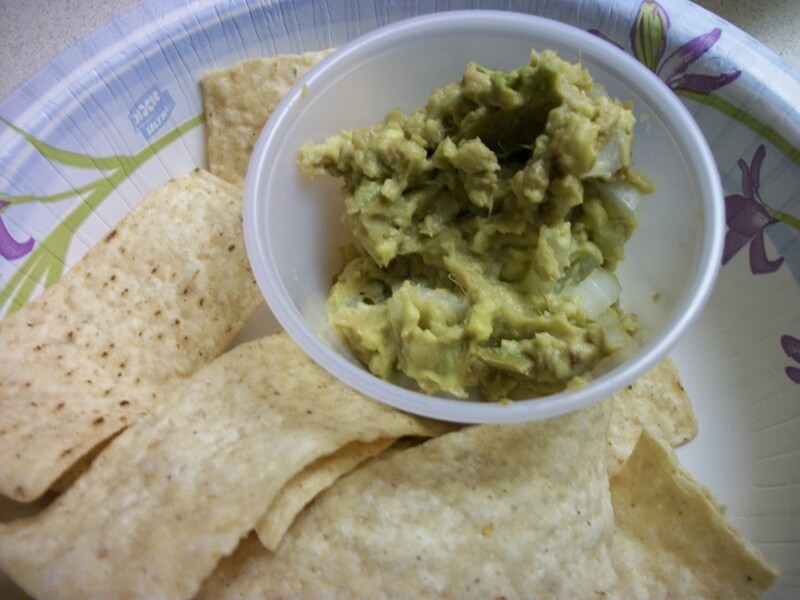 I used 2 large avocados, mashed, with sweet onion added. Layer 6: One cup salsa. I may have used a little more than 1 cup. I added diced sweet onion here too. 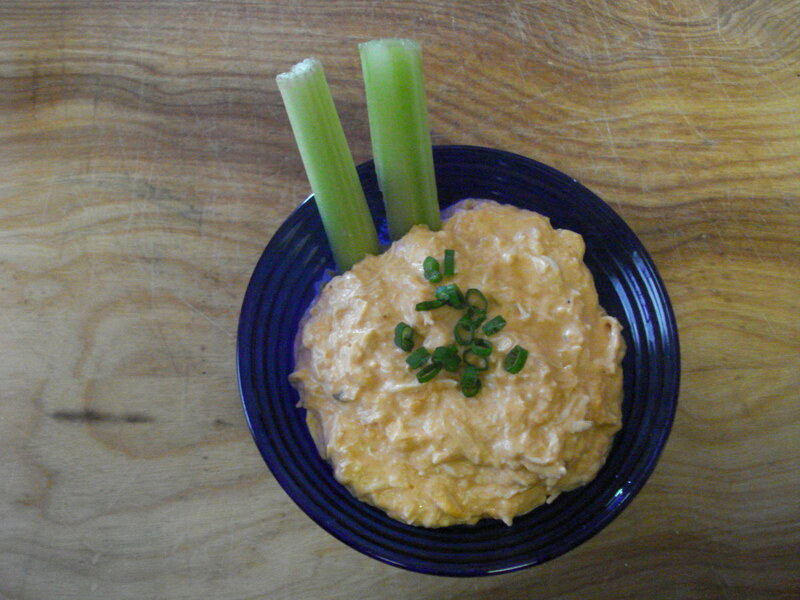 Layer 7: Two cups shredded cheese. I probably used about 1 cup of the Mexican blend. Layer 10: One cup chopped green onions. I just used the green parts to one bunch of green onions. Probably less than a cup, maybe just 1/2 cup. 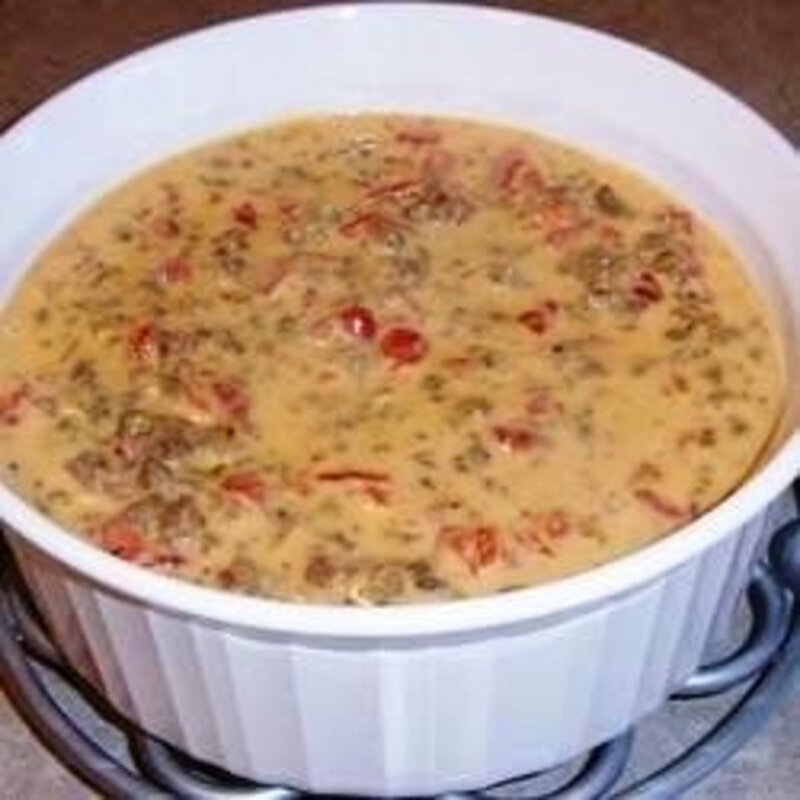 You’ll need a 16-ounce block of Velveeta® cheese and a 10-ounce can of RoTel diced tomatoes with green chilies. Cut the Velveeta into cubes and combine with tomatoes. Heat on medium low until the Velveeta is melted, stirring constantly to combine. 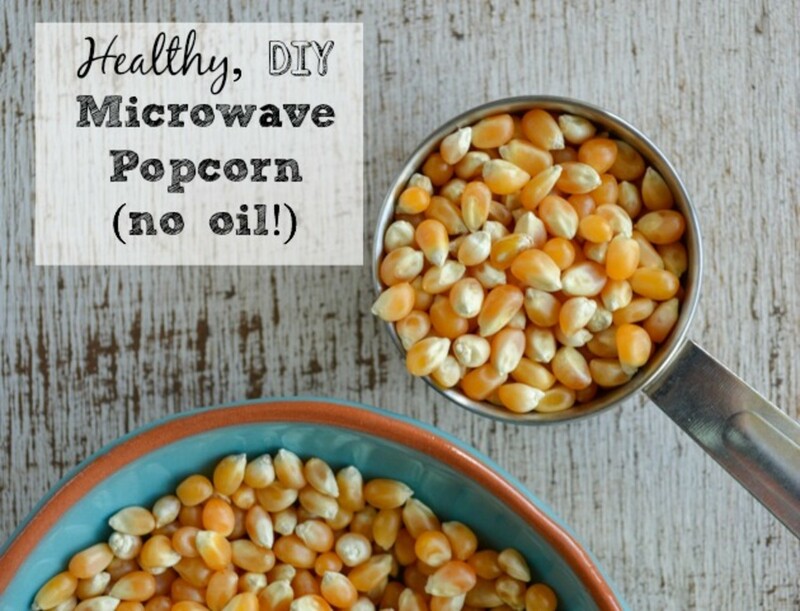 You can also prepare in the microwave, or use a 1 to 1 ½ quart crock pot. 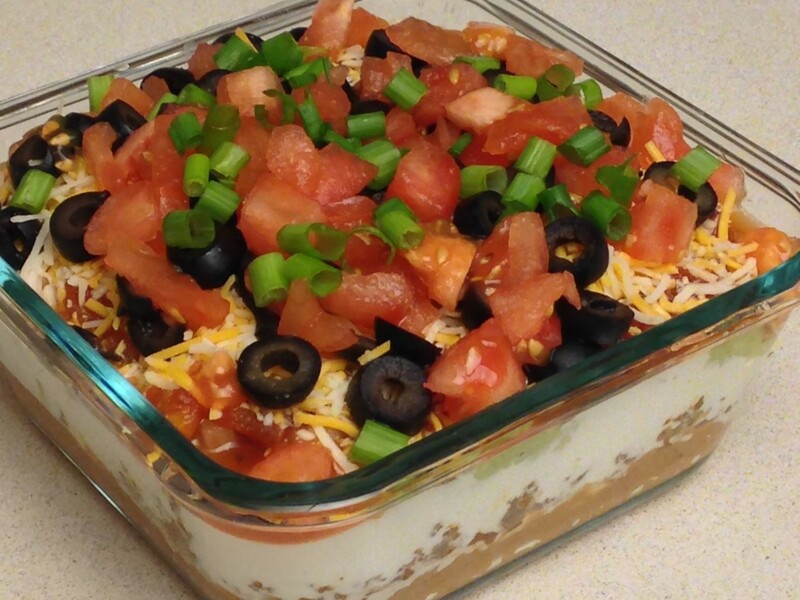 A small crock pot is certainly a great option for serving, so that your dip stays warm. Great with tortilla chips or baby carrots. If you’ve never worked with fresh avocados, you’ll be pleasantly surprised by how easy this is. Choose 2 large or 5 small avocados. They should give a little when you press them with your fingers. 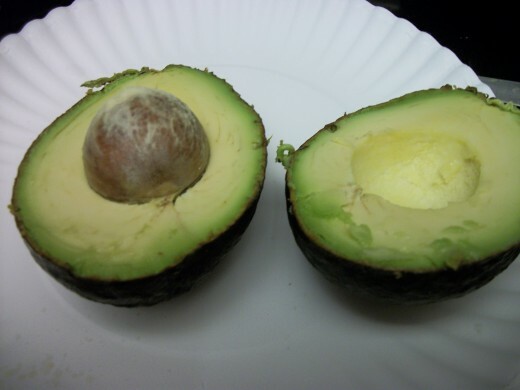 Cut through the avocado, running your knife down to the large seed to cut in half. Remove the seed, remove the soft flesh with a spoon, and mash with a fork. Fold in ½ cup chopped sweet onion. If you’re short on time and motivation, buy a jar of your favorite salsa. 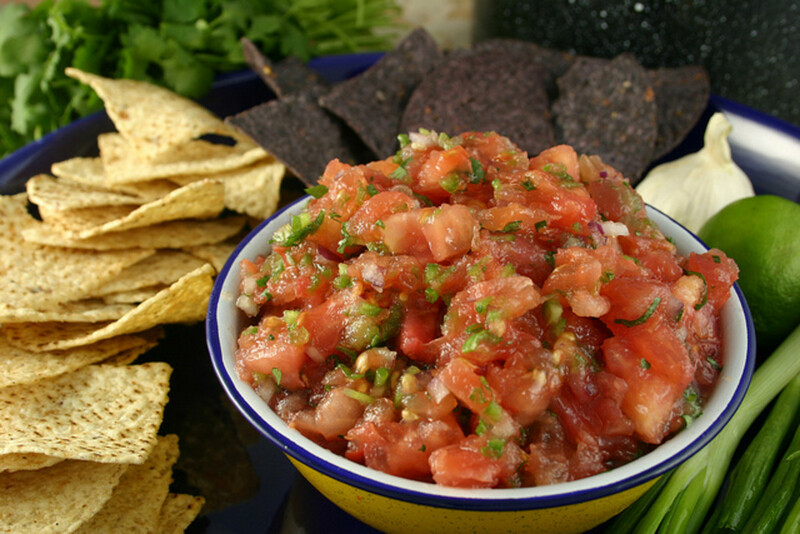 Add a chopped tomato, chopped onion, and a little chopped cilantro to give it a little texture and semi-homemade spin. 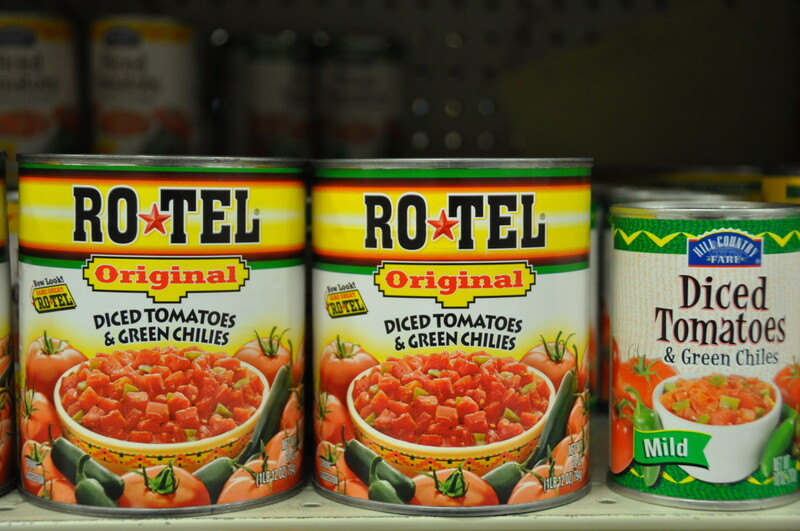 Buy a can of refried beans, or make your own either by buying canned whole pinto beans or cooking up some dried beans a few days ahead. Put pintos and plenty of the bean juice into a blender or use an immersion blender to break up the beans. 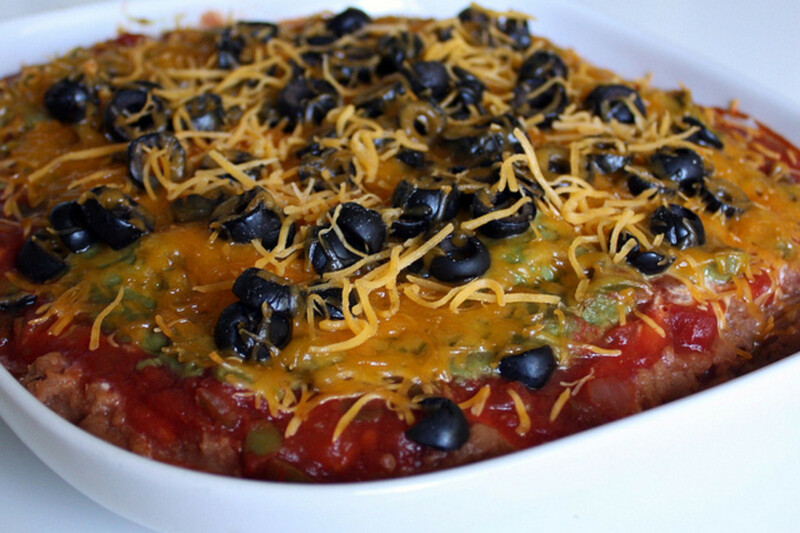 Pour refried beans into a baking dish, top with shredded cheddar or jalapeño Jack cheese, and heat in the oven. Sauté 1½ cups of diced onion in 2 tablespoons of olive oil until caramelized, or about 20 minutes. Set aside to cool. For an easier version, you can combine one package Lipton Onion Soup mix per package directions with 2 cups sour cream, or one cup sour cream and one cup Greek yogurt. I find the soup mix to be a bit salty, and suggest an additional ½ cup of yogurt or sour cream. Not up to making your own? 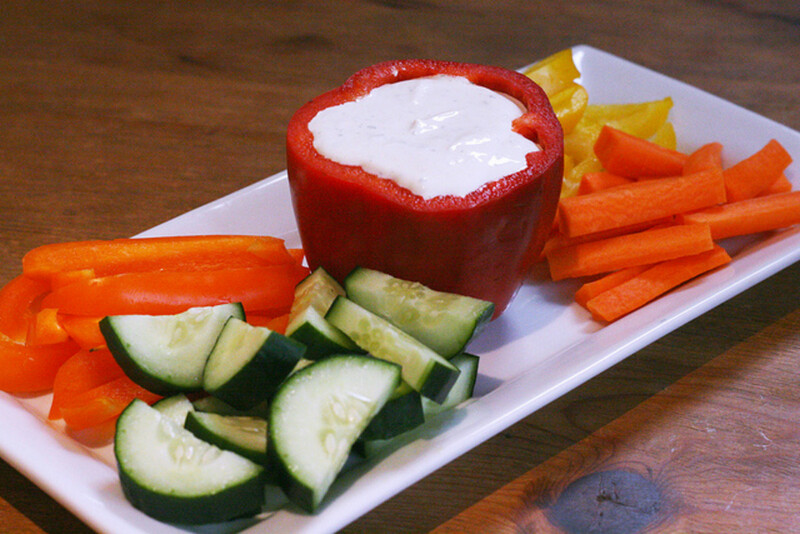 Use one package of ranch dressing dip mix with yogurt, mayonnaise, and/or sour cream. 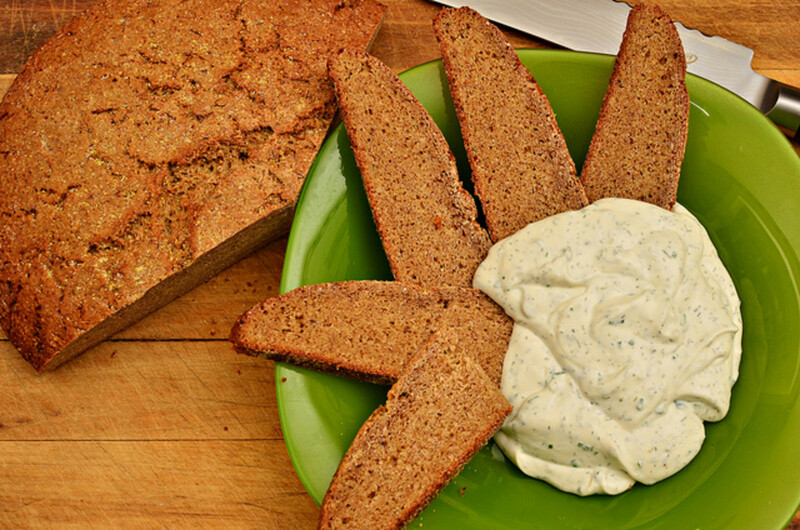 You can use 1 cup sour cream and 1 cup mayonnaise, or 1 ½ cups Greek yogurt and ½ cup of mayonnaise. 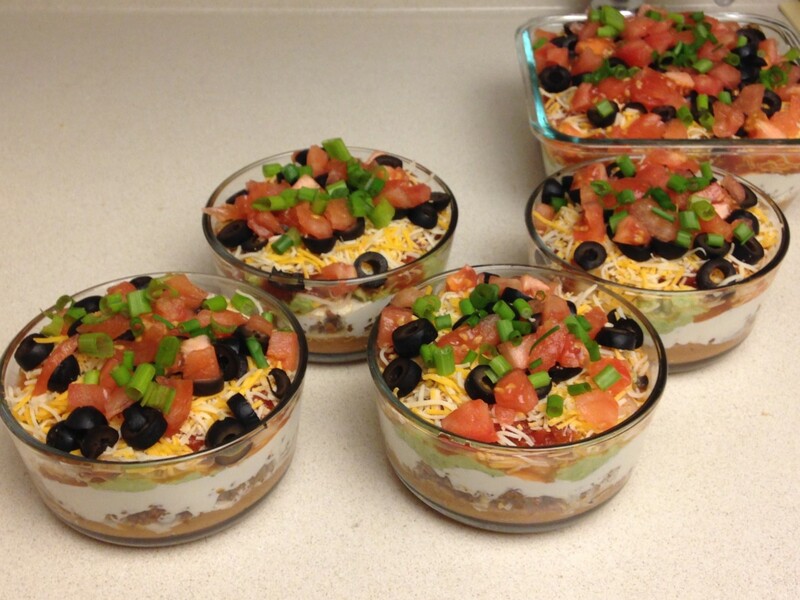 Almost any combination works, including just using Greek yogurt with no mayo or sour cream. Good with chips or raw vegetables. Buy fresh herbs, such as dill or chives, from the produce department of your grocer. Finely chop herbs and mix thoroughly into a pint of sour cream. You could use half sour cream and half yogurt, or yogurt instead of sour cream, but use Greek yogurt since it is thicker. 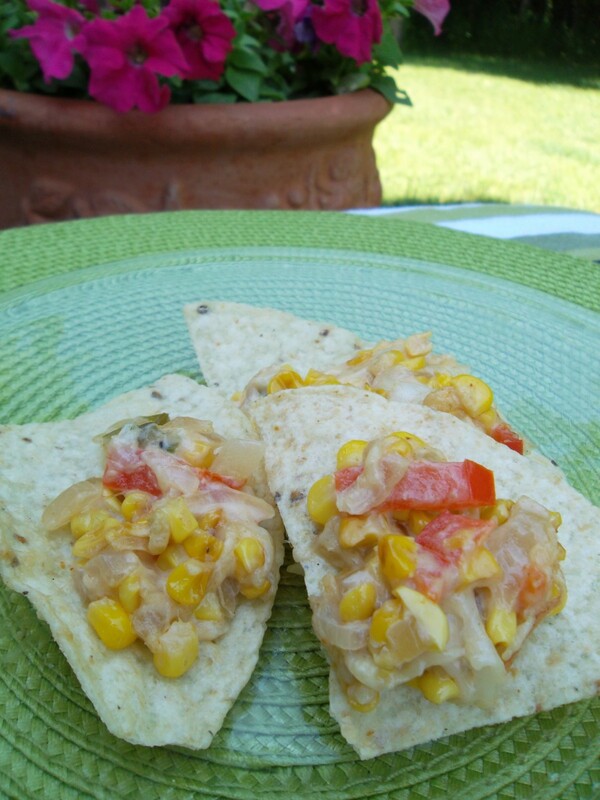 Serve with chips, crackers, or raw vegetables. Serve a trio of herb dips in green, red, and yellow pepper halves. 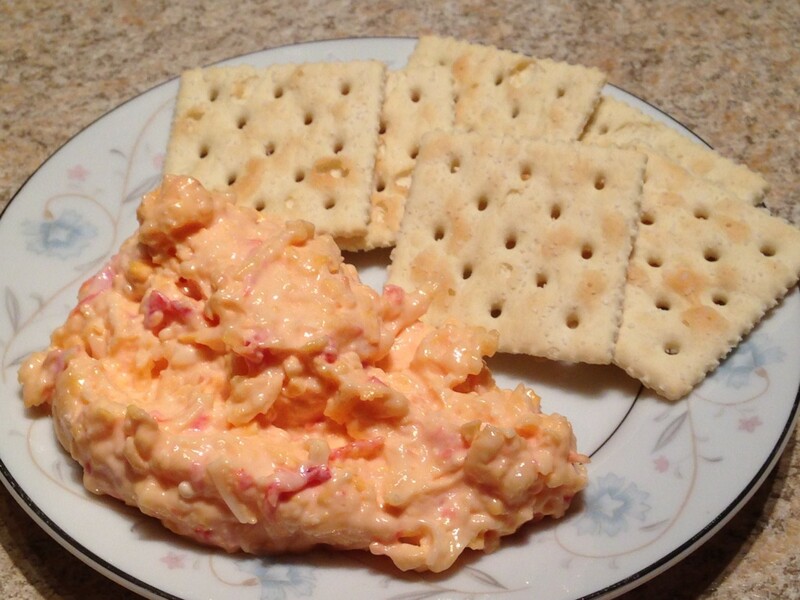 Like Pimento Cheese? Then why not enjoy it as a dip or spread at your party? Until recently, I could take it or leave it. A friend made the version pictured, and it's my new obsession. Shred about 4 oz. each of sharp cheddar cheese and mozzarella. Add some diced pimentos, or as in this version, some roasted red peppers. Finally, stir in enough mayonnaise to make the desired consistency. If you like bold flavor, use some Asiago cheese. If you like a kick, add some jalapeño pepper. I’m thinking of trying a version with Monterrey Jack, queso fresco, and green chilies. Making your own hummus may be easier than you think. I have made it two ways. 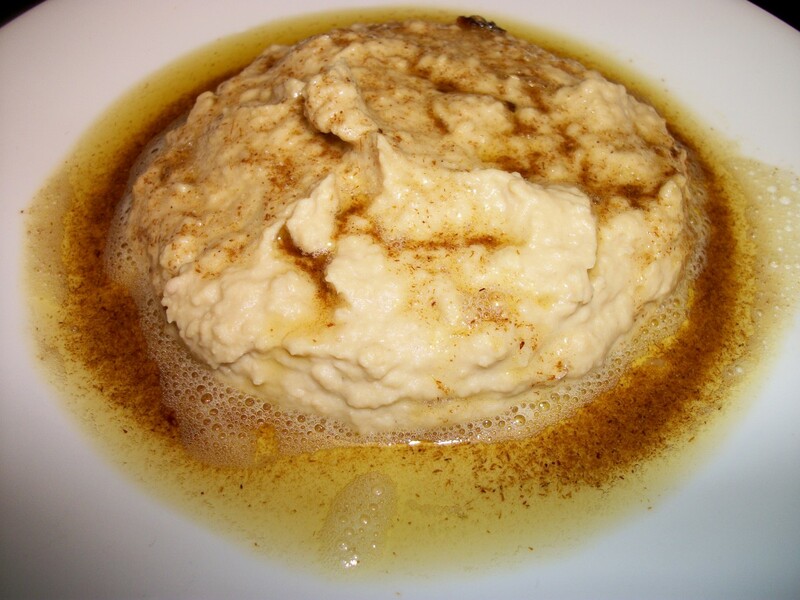 When I was living in Turkey, I learned to make hummus using garbanzo bean flour. There is usually a recipe on the bag. If not, add water until you have a thick, but stir-able paste. Add fresh minced garlic, a tablespoon or two of lemon juice, and several tablespoons of tahini paste. You could do this in a food processor. Alternatively, use chickpeas instead of garbanzo flour. Some people use canned chickpeas, but I find them to be too firm. I use dried peas, and cook them until soft. Process in the food processor with other ingredients above. Spoon your hummus onto a serving plate. In a small skillet, brown some cumin powder in olive oil. Pour over hummus. 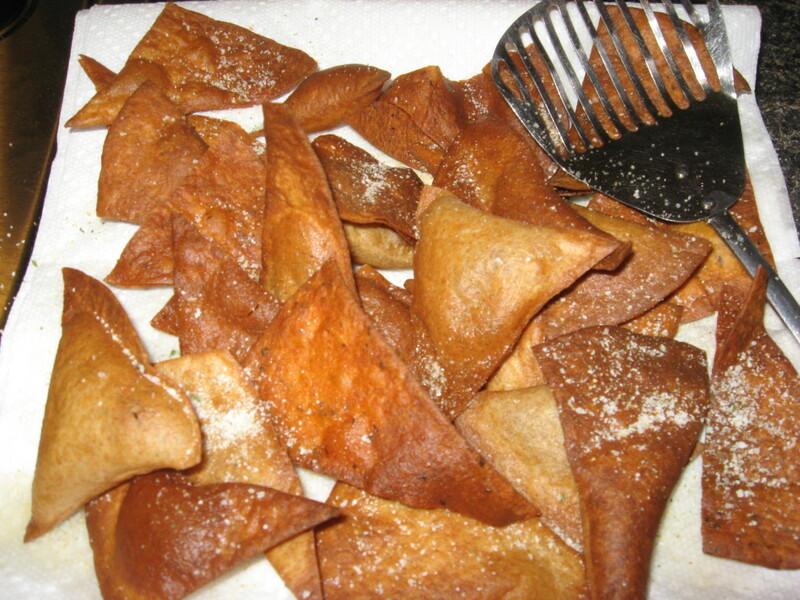 Serve with pita squares. Make an impression by buying fresh pita from a Greek restaurant or fresh naan from an Indian restaurant. 16 oz. cheese such as cheddar or jalapeño Jack. 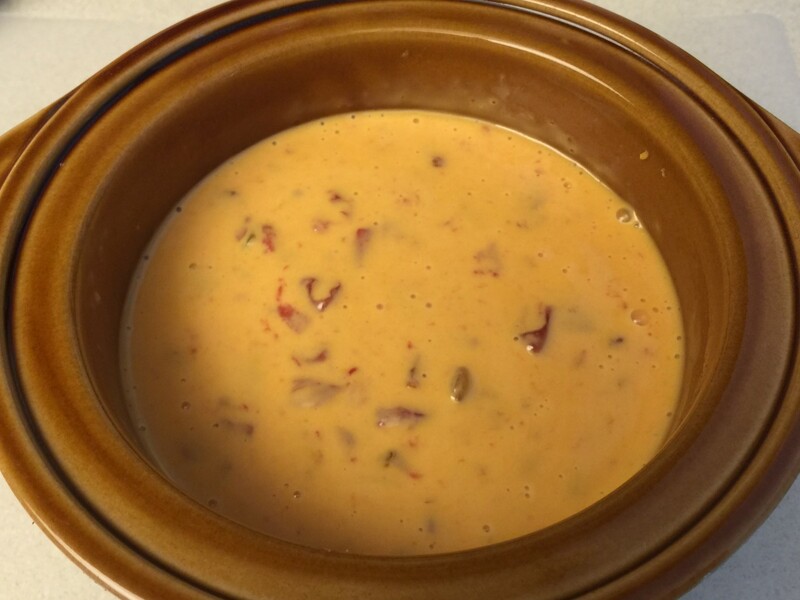 I started my warm cheese dip (above) by cutting an 8 oz. package of cream cheese into chunks and put it in a small crock pot on high. I cut about 2 oz. each of cheddar and jalapeño Jack cheese into cubes and added them. After about 30 to 40 minutes, I reduced the heat to low. I added about 3 to 4 oz of Corona beer and stirred. After about 15 to 20 minutes, I added 1 cup each of finely shredded cheddar and Italian blend (white cheeses). I stirred in these cheeses along with another 3 to 4 oz. of beer. As the cheeses were heating, I prepared browned ground beef with a package of taco seasoning and one cup of water, and simmered about 30 to 40 minutes. I drained the meat, and added about 8 oz. to my dip. Heat until bubbly. Serve with chips, crackers, or vegetables. You could use canned crab, drained. I prefer crabmeat from the refrigerated section of the grocery store. You can get 8 oz of claw meat for about $8, which is what I usually buy for most recipes. You could splurge and get 8 oz. of premium lump crabmeat for about $16. In a food processor, pulse to chop 1 can of drained artichoke hearts. Stir in artichoke mixture. Pour into a greased 9”x13” baking dish and bake in preheated 350° oven for 20 to 30 minutes until bubbly. Beat two 8-oz. packages of cream cheese and 1 15-oz. can pumpkin pie mix together with an electric mixer until well combined. Chill 30 to 60 minutes before serving. 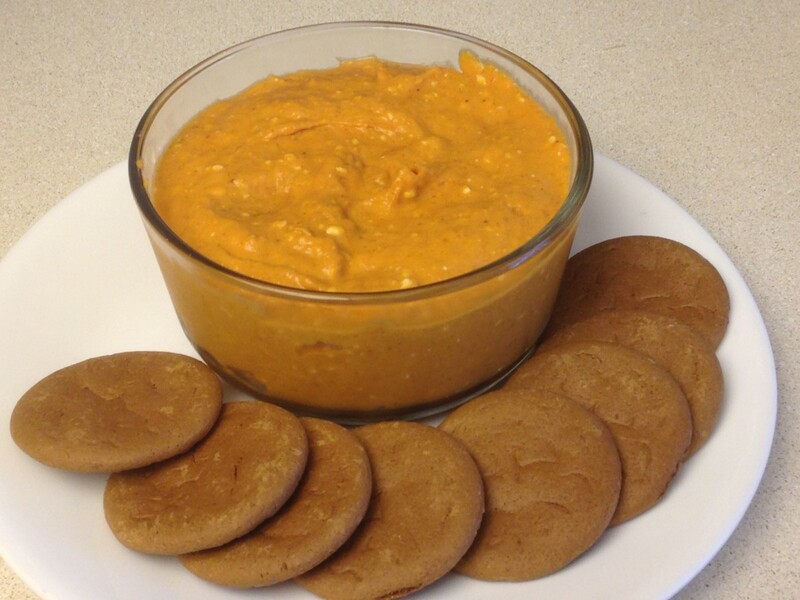 Serve with ginger snaps or apple slices. 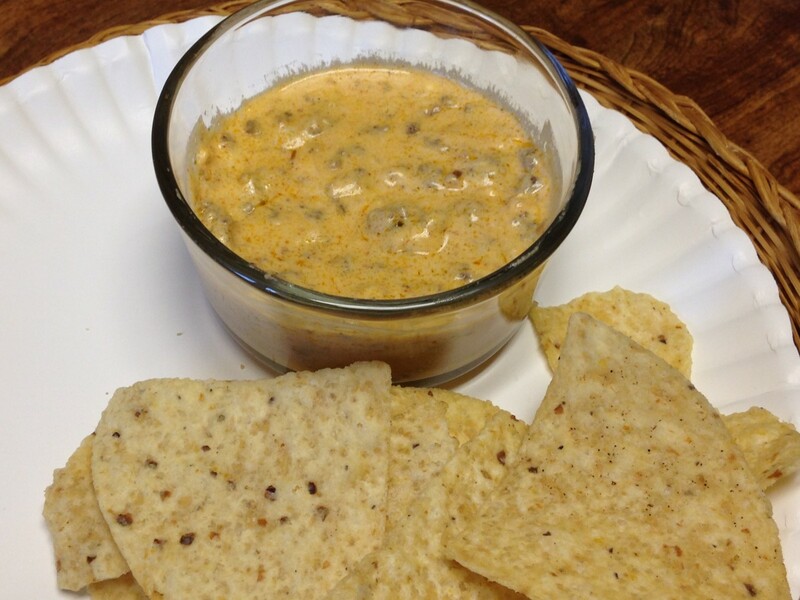 What is your "go to" dip for parties and friends? I have to add this hub to my Pinterest board so I can get into it each time we have company. I have not tried some of these so I will start with those. We are actually planning a house-warming party, and I think it will be perfect. And so much better than the run-of-the-mill fruit and veggie platters that are always at parties. Thanks so much for sharing! 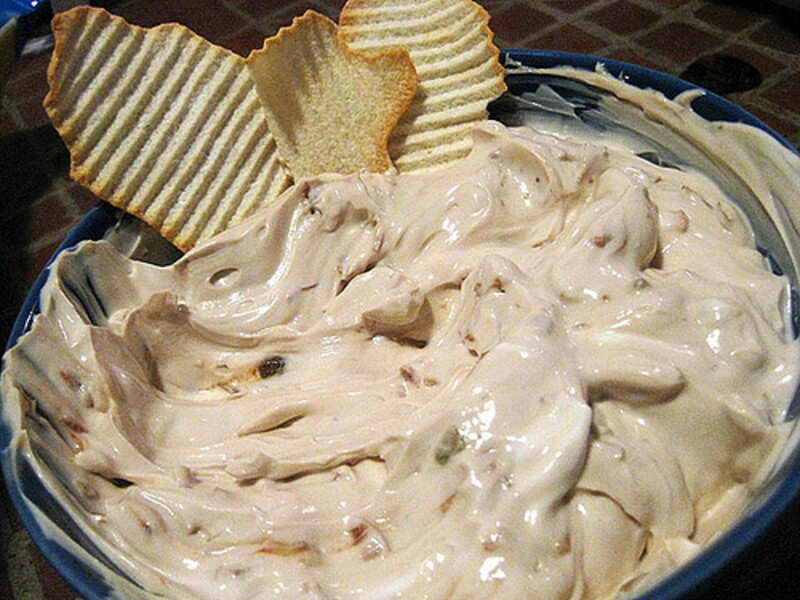 You have some great dip recipes - I always make my hummus with a can of garbanzo beans - I just put them in a blender with some spices etc and whip them smooth - I am going to make some of the 7 layer Mexican dip for Christmas eve - it looks delicious - definitely a 'useful' hub - B.
Oh my gosh, this is a crazy good hub! You've pretty much hit on all my favorite dips. I was hungry going into it, but now I'm famished. I've bookmarked this baby since we have some exciting football games coming up! 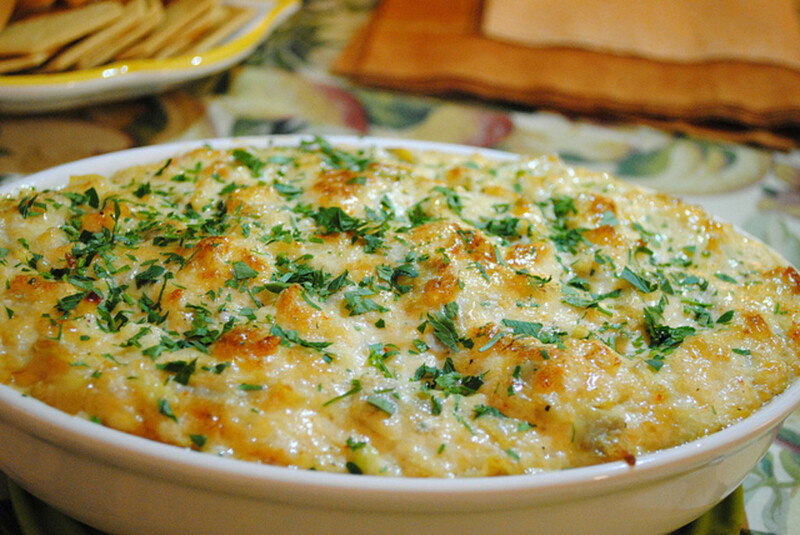 The hot crab dip and hot artichoke dip are at the top of my list. Thanks for the awesome recipes!